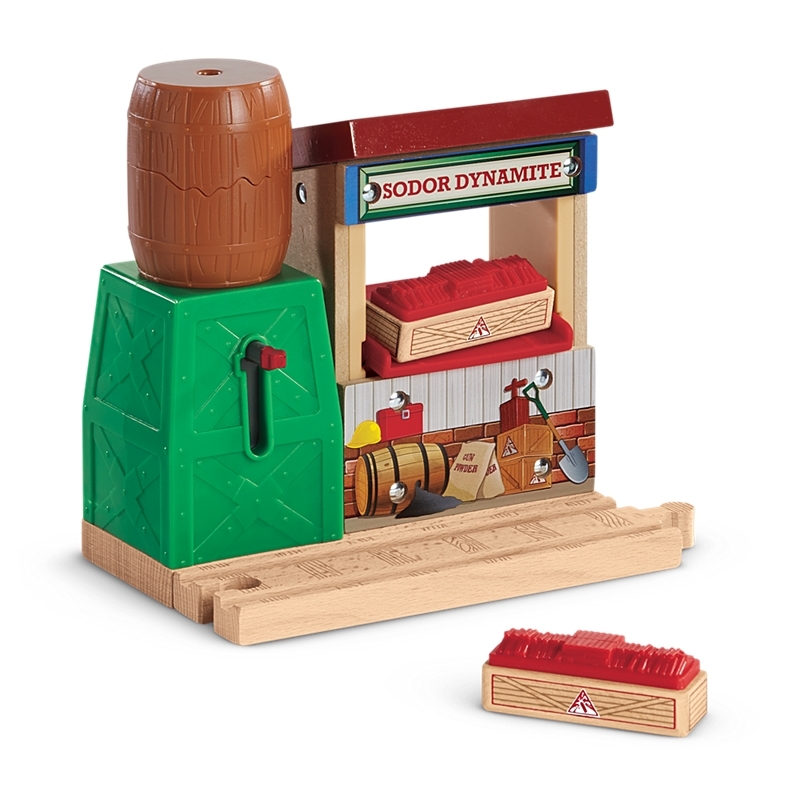 Shipping Dimensions: 11" x 5" x 8.5"
he Thomas & Friends Wooden Railway Sodor Dynamite Blast set delivers explosive fun! Just push the lever to start the fuse; when it rises to the top, the barrel explodes apart revealing a surprise message! Press the barrel down to reset and explode the barrel again. You can also tilt the cargo drop to slide the TNT cargo into a cargo car (sold separately).